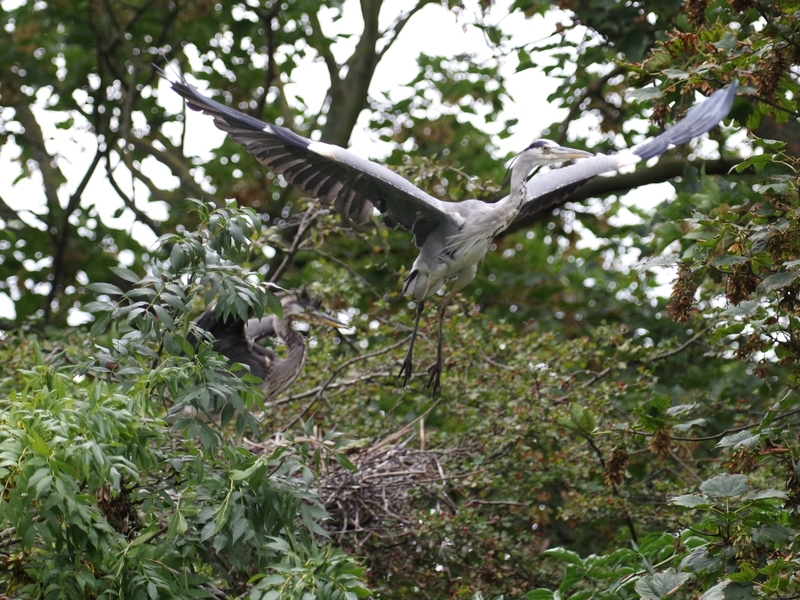 Both the young Grey Herons were on the shore of the island, and one of the parents was standing in the nest to get away from them. One of the young birds flew up to the nest, clamouring loudly to be fed. 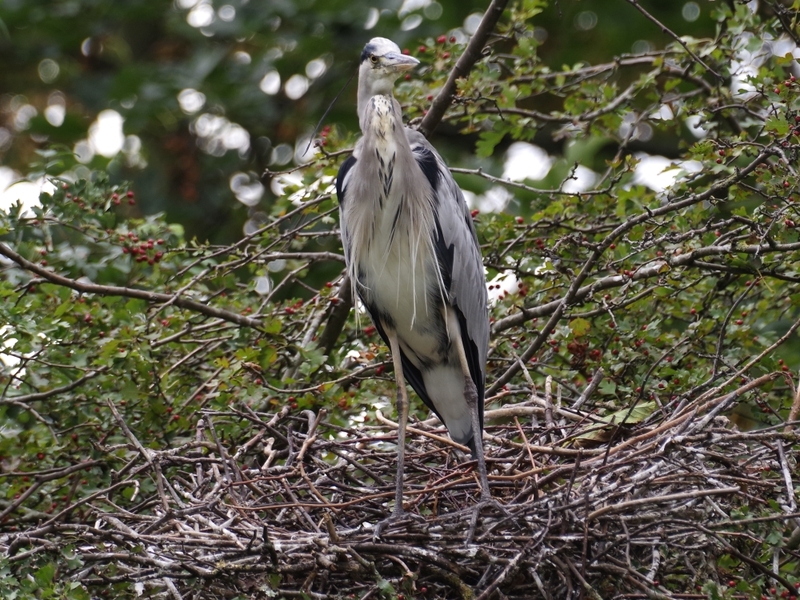 The young heron stood in the nest, unfed but looking rather pleased with itself. 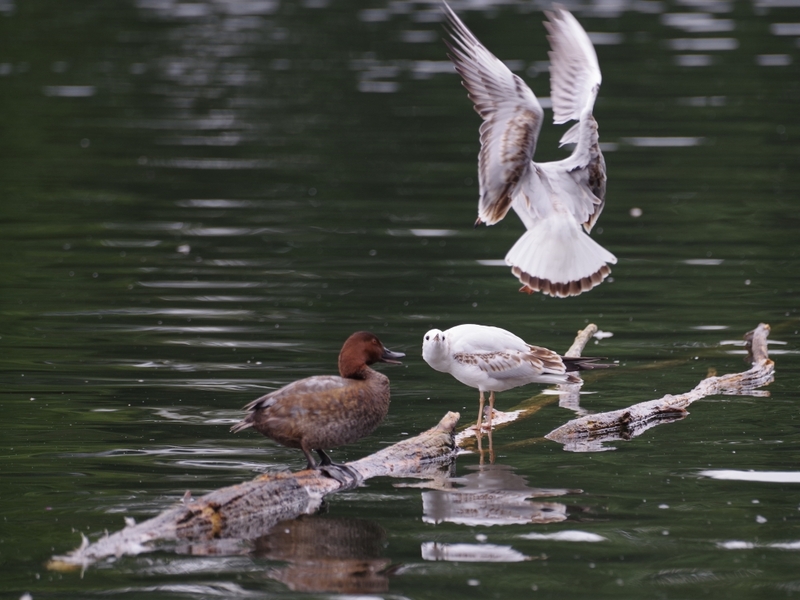 A Black-Headed Gull and a Pochard were sharing a floating branch reasonably peacefully when another gull tried to knock the first one off. It didn't succeed. 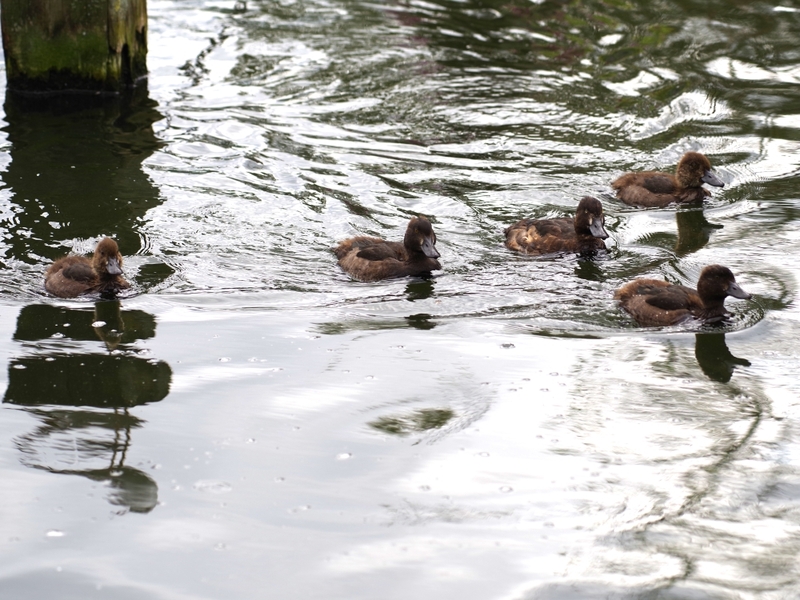 The young Tufted Ducks are now almost as large as their mother. 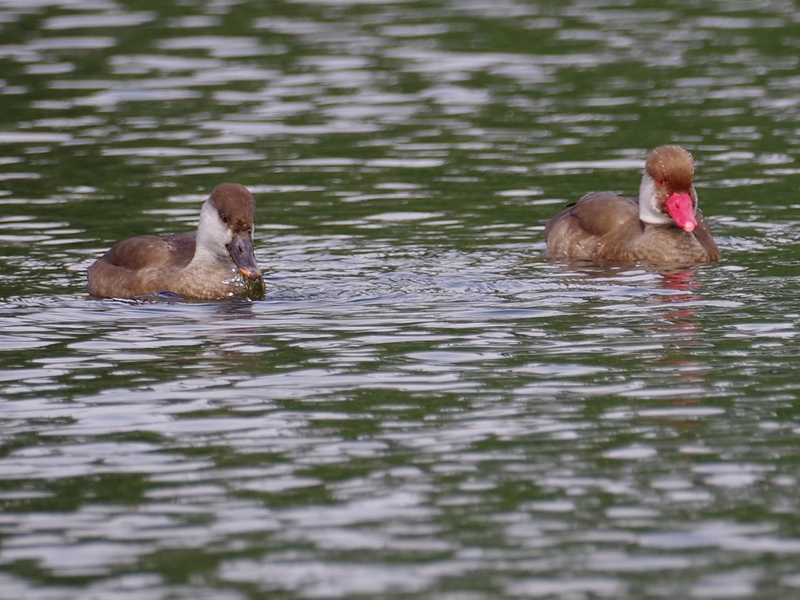 Almost all the Red Crested Pochards on the lake are male, though since they are in eclipse they have plumage quite similar to females, with just a hint of ginger on the head. But their red bills and eyes distinguish them from females. 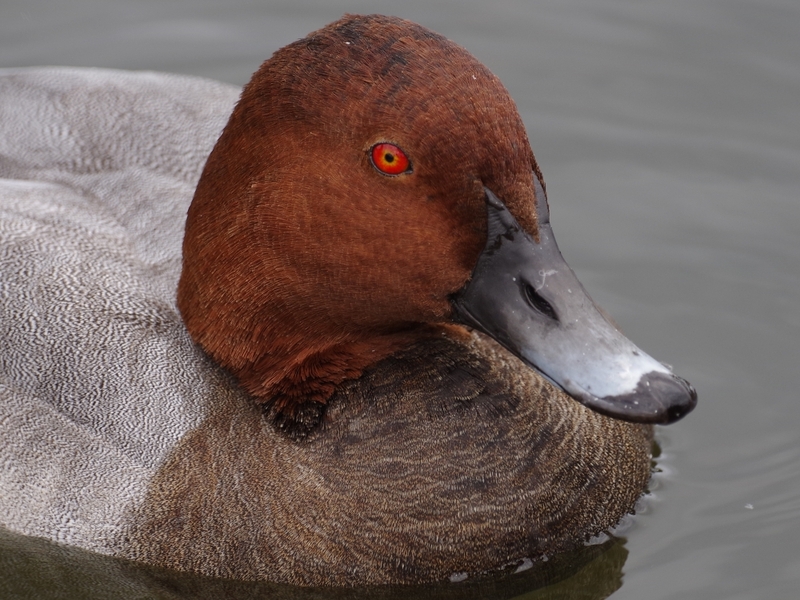 Common Pochards don't seem to go into eclipse at all, and remain smart looking all year round. 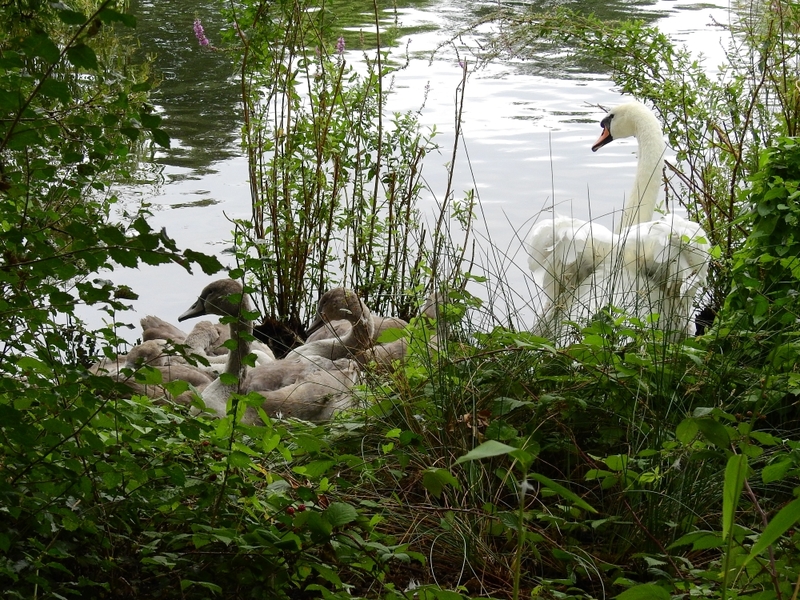 The Mute Swan family who have edged their way on to the dominant swan's territory on the Long Water were relaxing on the bank. 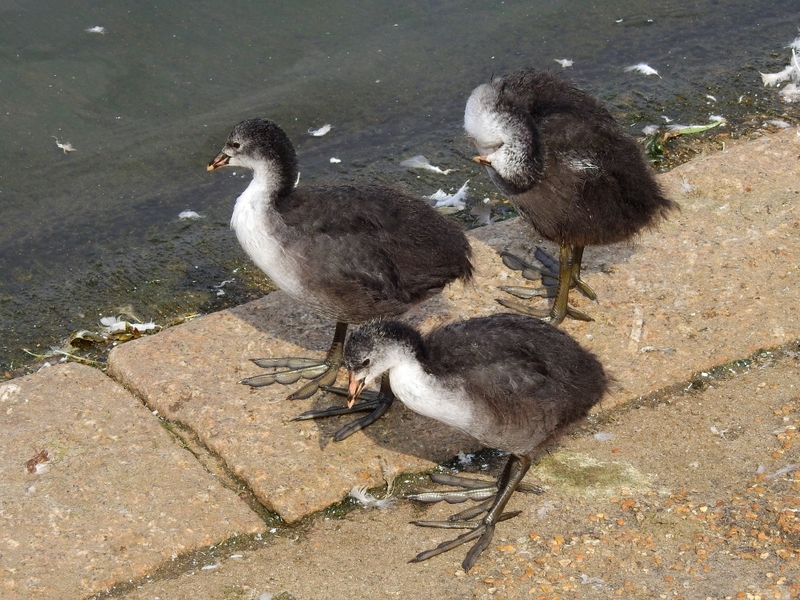 The Coot chicks from the reed bed at the east end of the Serpentine are growing up. A young Herring Gull eyed them hungrily, but was faced down by a parent and left. 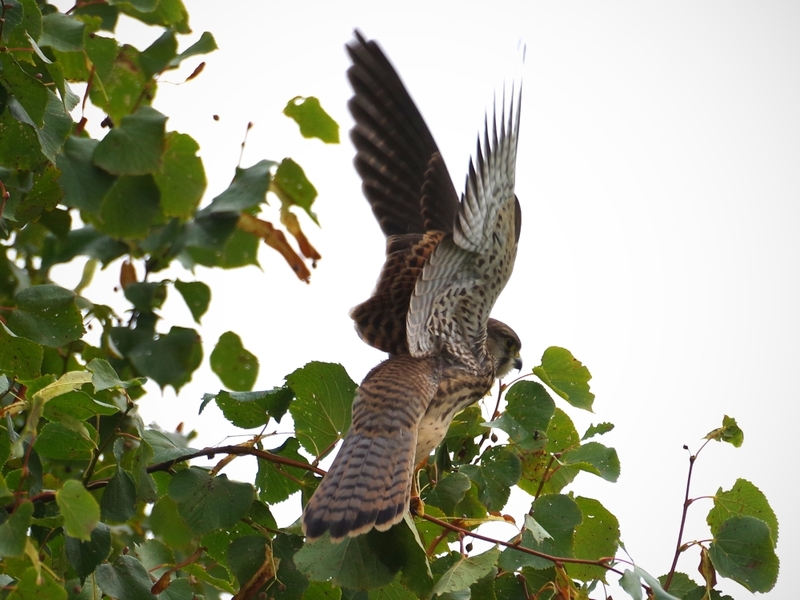 The female Kestrel was hunting over Buck Hill. Here she is about to take off from a branch. 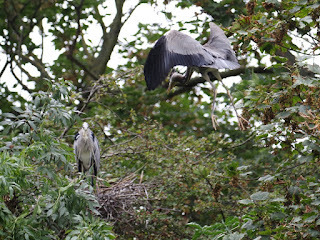 Later she was seen at the Round Pond with the young one. 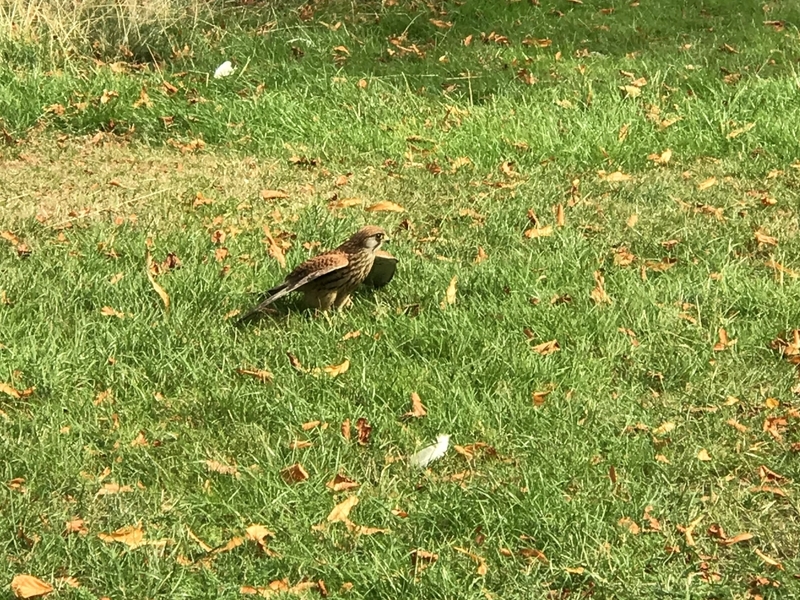 This picture of her on the grass was taken by Jabir Belmehdi on his smartphone. 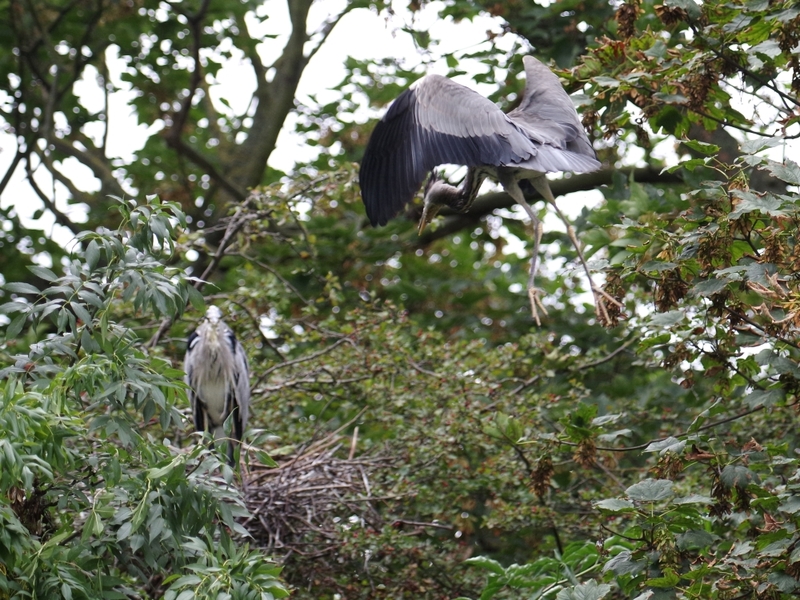 There was another sighting on the north edge of Hyde Park, but we don't know which one of the three it was. Anyway, they certainly seem at home here now. 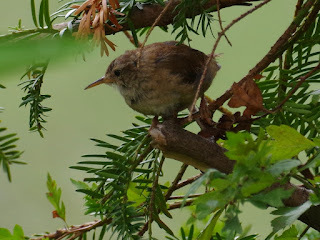 A young Wren appeared in a bush beside the Long Water. 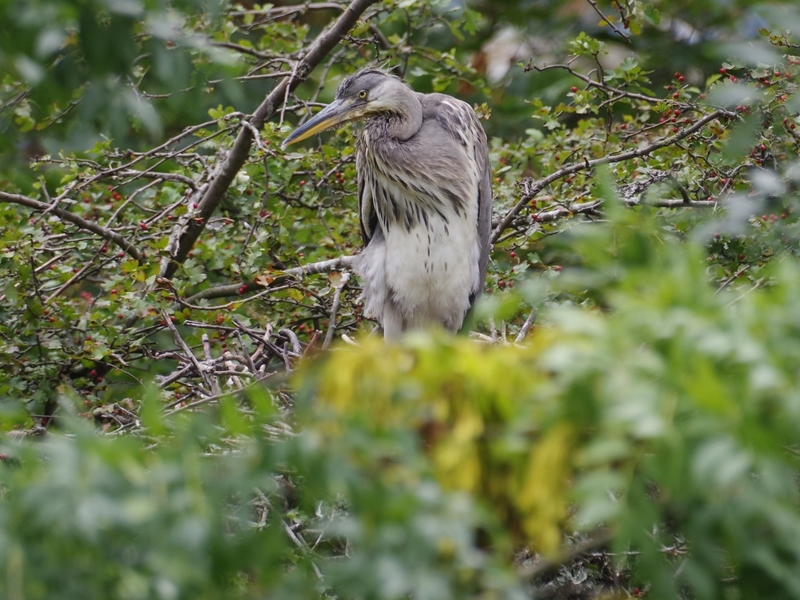 Several Wood Pigeons were feasting on the berries in the pyracantha bush near the Lido. 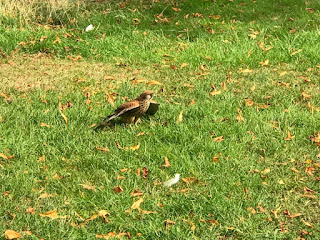 Feeding Feral Pigeons is unwise. 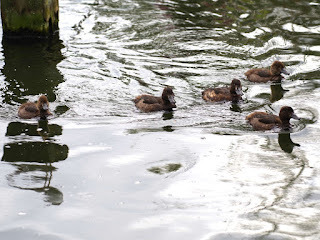 Sometimes they take over. 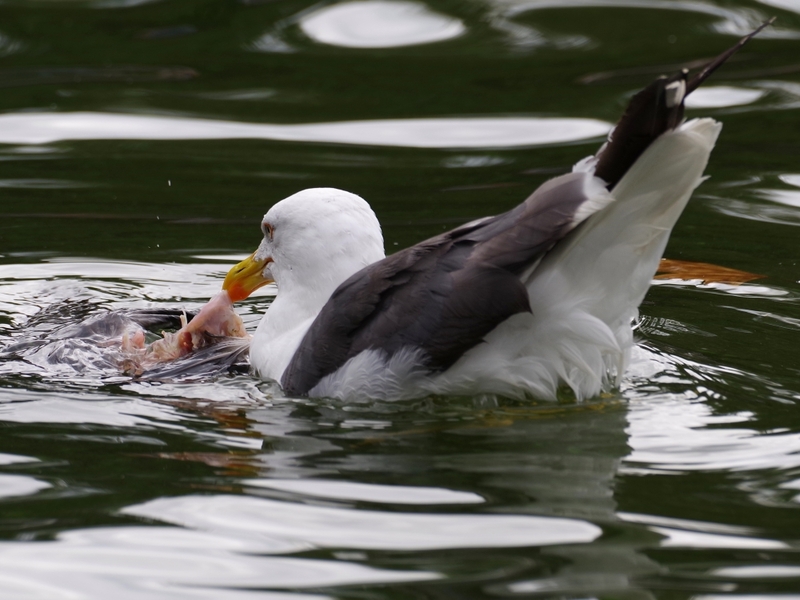 In the water a short way off, one of them had become lunch for the notorious Lesser Black-Backed Gull. The trick is to feed all the birds except pigeons. 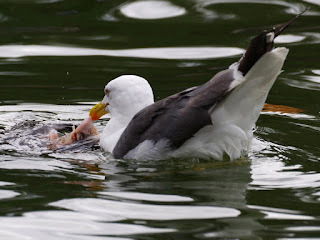 Hitchcock cruelly tied the gulls to Tippi Henrden with black thread. He should simply have smeared her with the contents of a can of tuna. the pigeons at the Parque de María Luisa in Sevilla Pigeons will be pigeons. I love how the brave little Coot is drawn up to its full height to stare the gull down. Well done! Remarkable that so many of the pigeons in Seville are pure white. We hardly have any, and most of our pigeons are darker than the original Rock Dove they are descended from. 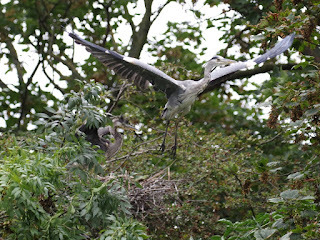 Gory ending- but that's nature. 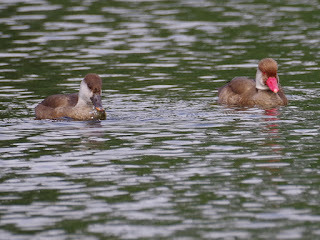 You must have got distracted as that's a Pochard not a Tufted Duck sharing the float with the BH Gull! Yes, thanks, I was distracted moving a lot of thumbnail images around. Changed.